UPON ARRIVING TO THE HOME YOU WILL SEE A PICTURE VIEW ENTRY WAY ON YOUR LEFT, WITH A THREE CAR GARAGE, AMPLE PARKING ON THE DRIVEWAY AND ADEQUATE LOW MAINTENANCE LANDSCAPING. THE ENTRY WAY WILL WELCOME YOU TO A PICTURESQUE DISPLAY, QUALITY TILE WALKWAYS WHICH LEEDS YOU TO THE LIVING, DINNING, KITCHEN AND FAMILY ROOMS. ON THE LEFT IS THE DOWNSTAIRS BEDROOM, BATH AND ENTRY TO THE GARAGE WITH SUFFICIENT CABINETS, LAUNDRY AREA, WATER HEATER, SOFTENER AND EXIT TO THE SIDE YARD. THE ELEGANT STAIRCASE TAKES YOU TO THE SPACIOUS MASTER BEDROOM AND BATH WITH SEPARATE TUB, SHOWER, DOUBLE SINK AND NATURAL SUNLIGHT. ON THE LEFT ARE THE OTHER TWO FAIR SIZE BEDROOMS, BATHROOM AND THE BONUS ROOM WHICH CAN VARIOUS USES. An inviting front seating area welcome you into this charming home featuring vaulted ceilings, hardwood flooring and abundant windows for natural light. The gourmet kitchen boasts upgraded granite countertops while a fireplace warms the family room with an adjacent bedroom and laundry room. The upstairs boasts walk-in closets in the front bedroom and master suite with a spa tub and shower. Relax on a patio beneath a gazebo or admire hillside and city light views on a balcony. Located on a premium corner lot in one of Corona’s most commuter-and family-friendly neighborhoods, this amazing Corona Hills home features 2,428 sqft with 4 bedrooms and 3.5 bathrooms. This immaculate home with 2-story high ceilings is adorned in natural light and an easy-flowing, open floor plan makes this home perfect for entertaining. Features include a downstairs bedroom with a full on-suite bathroom, formal living and dining rooms, and separate family room with gas fireplace which opens to a beautifully appointed kitchen with gorgeous granite counters and designer backsplash, stainless appliances, dry bar/buffet with beverage refrigerator and slider to the rear yard. Upstairs, the master suite is richly presented with warm, engineered wood floors, shutters, ceiling fan and crown molding, an offers a spacious walk-in closet and an on-suite master bath with dual vanities, soaking tub and separate shower. The other bedrooms are generously proportioned, and the large loft area provides a perfect retreat or option for a 5th bedroom. Enjoy warm sunny days in your low-maintenance back yard in a hammock under your shady patio cover. Other amenities include: “wood” tile floors throughout the downstairs, plantation shutters, ceiling fans, custom crown moldings, separate indoor laundry room, fully-irrigated yards, 2-car attached garage and much more. This home is mere minutes away from Corona Ranch Elementary and Village Park, as well as shopping and freeways. A must see! This home is completely turnkey and thoughtfully upgraded throughout! As you approach you will appreciate the great location and it’s curb appeal. Entering the front door you are impressed by a two story entry with flooded with plenty of windows to provide natural lighting. Upon entering you notice the curving staircase and high ceilings of the living room w/ the attached dining room that feature upgraded lighting fixtures. The kitchen is open to a family room that lead out to the patio cover, POOL AND HEATED JACUZZI, it makes for great indoor/outdoor living. Also on the main floor, you find the first of the four bedrooms and a full bathroom. Upstairs are the remaining bedrooms including the spacious master suite that has TONS of closet space and a view of the pool below. Close to schools, shopping and restaurants, plus,this location is a commuter's dream! Corona Hills is one of the most prestigious upscale communities of Corona, California. Residents enjoy privacy, warm weather, and breathtaking views of the mountains and city lights. Living atop Corona Hills is the perfect place for families who love to host parties and get-togethers. Inside these Mediterranean style homes you’ll find every convenience and modern amenity. The spacious living areas are both welcoming and entertaining with cozy fireplaces, high ceilings, and formal dining areas. The gourmet kitchens offer beautiful granite counter tops and large center islands as well as walk-in pantries. Many homes have remodeled kitchens and bathrooms with new stainless steel appliances, mocha glazed cabinets, tile flooring, and high end fixtures. Dual paned vinyl windows are both energy efficient and esthetically pleasing. Homeowners here are proud of their backyards, many with patio covers and wrought iron fencing accentuating the beautiful surrounding scenery. Lush landscaping accompanies the view as well as the sparkling community pools and spas. Residents also have convenient access to the entertainment, restaurants, and shops of Corona. The Galleria at Tyler in Riverside offers a two story indoor mall. The Shops at Dos Lagos, off of I-15, is an open air mall featuring an immense selection of upscale dining and shopping. And the Corona Hills Plaza and Marketplace is located off SR 91 and McKinley Street, offering mixed retail and grocery stores. Corona Hills is also close to Cresta Verda Gold Course and is easily accessible via the 91 and 15 freeways as well as Metro Link. This area is enjoyed by many celebrities who come to Corona for more privacy than cities such as Los Angeles. One of the most well-known residents was Desi Arnaz, who owned a ranch in South Corona and played golf at Cresta Verde country club. Luxury apartments in Corona Hills are also available in several complexes including Hills of Corona, Marquessa, and the Ashton. Nearby schools include William McKinley Elementary, Corona Ranch Elementary, and Centennial High School. If you’re already working with a Real Estate agent, please utilize your agent’s website & direct expertise to aid in your home search. We are only able to directly serve our own clients. Thank you for your interest in the Corona Hills community, and we wish you the best of luck with your Real Estate needs. Whether you are contemplating buying or selling a home in Corona Hills, it is important that you hire the right team that fits your needs. We roll out the red carpet for buyers & sellers alike, and ensure you have access to us 24/7, as we aim to earn your business for life! 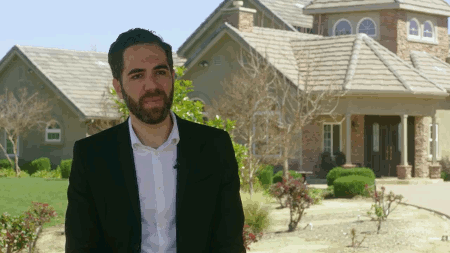 We understand the market well, and you will not find a more qualified Corona Hills real estate agent to help you with all of your Real Estate needs! As a buyer, you will have access to Corona Hills listings the second they hit the market, which gives you a leg up on the competition. As a seller, your home not only will be featured on one of the top Corona Hills sites on Google, but we also will syndicate your home to hundreds of other sites, hold weekly open houses, send out postcards, and much more! We have helped dozens of buyers & sellers, and look forward to helping you as well! This 3 bedroom, 2 full baths, 1 half bath home, located on Mount Whitney Circle was just sold on Thursday, April 18th for &dollar;450,000. With 1,699 square feet of total floorspace, this home comes in at &dollar;264.86 per square foot. That's 2.91% higher than the neighborhood average. There are also 2.00 garage spaces available for parking. Originally built in 1988, this 2-story home sits on a 5,663 square foot lot. Listing provided courtesy of Doug Shepherd at Shepherd Realty Group.